Concept Vector Illustration, Super Business Woman Stand On The Hourglass, Showing Confidence To Control Time. Clip Art Libres De Droits , Vecteurs Et Illustration. Image 109508665. Banque d'images - Concept vector illustration, Super Business woman stand on the hourglass, showing confidence to control time. 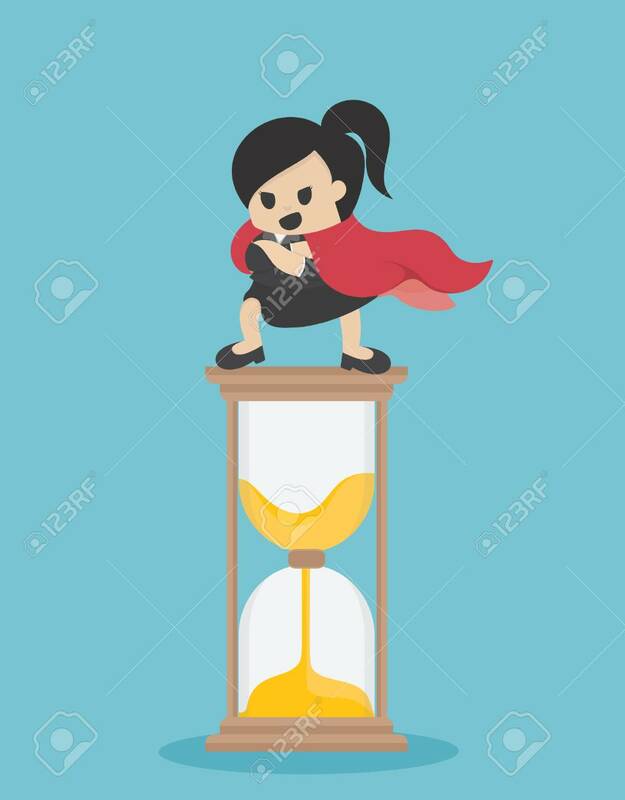 Concept vector illustration, Super Business woman stand on the hourglass, showing confidence to control time.